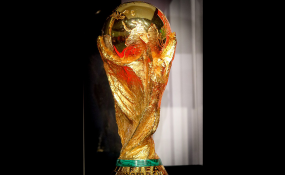 The 2018 FIFA World Cup tournament kicks off from June 14 in Russia. Africa has five representatives in this elite competition: Nigeria, Egypt, Senegal, Morocco, and Tunisia. The continent's teams secured their spots after a long build-up involving a preliminary knock out phase followed by a four team round robin competition on home and away basis. No African team has ever qualified for the World Cup semi-finals. Many pundits would argue that now is the time to change Africa's World Cup story. The continent has always promised a great deal in the international showcase but delivered very little. Some of the reasons for failing to qualify for the semi-finals at the World Cup include poor preparation, internal controversies as well as technical and tactical errors at crucial moments in the knock out phases and recruiting foreign coaches at the last minute. Looking at the pedigree of the African teams, and their respective opponents, Nigeria and Senegal stand a good chance to qualify for the second round and possibly beyond. Here is a closer look at Africa's five teams. Compared to other African teams, Nigeria has been very consistent African representatives at the World Cup since their first appearance in 1994. The Super Eagles, as they are more popularly known at home, also played in the 1998, 2002, 2010, 2014 World Cup tournaments. The other players to watch are Victor Moses of Chelsea, Kelechi Iheanacho and Ahmed Musa of Leicester as well as Alex Iwobi of Arsenal. Nigeria's strength lies in its solid midfield play and potent attack. They face Croatia, Iceland and Argentina in the group stages. Good results against Croatia and Iceland can propel them to the second round - to which they also advanced in 1994, 1998 and 2014 - and even deeper into the tournament. Egypt makes a long awaited return to the World Cup. It is intriguing that despite being a dominant force at the Africa Cup of Nations, winning a record seven times, Egypt has only featured at the World Cup three times over 84 years - in 1934, 1990 and now in 2018. The Pharaohs booked their ticket after overwhelming Chad at home and away to qualify for the group stage. Egypt overcame Congo, Ghana, and Uganda in the group stages. Hector Cuper, who coached Valencia of La Liga and Inter of Serie A, is the man tasked with leading Egypt at Russia 2018. The team relies on patient build up and opportunistic breakaways to score via their star player Mohamed Salah of Liverpool. Mo Salah, who scored a season record number of goals in the Premier League, is the man to watch. But his injury during the Champion's League final against Real Madrid has dampened the euphoric hopes of Egyptian fans. Other star players include Mohamed Elneny of Arsenal and Ahmed Hegazi of West Bromwich Albion. Although this team looks thin on star power, their collective understanding, solid defence and team chemistry should put fear in their opponents in the group stage: Uruguay, Russia and Saudi Arabia. Tunisia makes their fifth appearance at the World Cup, having previously featured in 1978, 1998, 2002 and 2006. Unlike other African sides with one or two outstanding individual players plying their trade in the big five European Leagues, the Tunisians play in lower ranked leagues. These include Saif-Eddine Khaoui and Wahbi Khazri. Formerly at Sunderland, Khazri seems to have rediscovered his form on loan at Rennes last season, scoring nine goals in 24 league games. The team's resourcefulness, grit and spirit will be fully stretched in their fixtures against England, Belgium and Panama. However, it will require a major upset for them to progress to the second round given their opposition's pedigree. Morocco last played in the World Cup 20 years ago and have represented Africa four times at the tournament. Their 1986 squad was the first African team to not only qualify for the second round but to do so as leaders of a pool that had England, Portugal and Poland. Coached by Hervé Renard, Morocco narrowly eliminated Equatorial Guinea in the preliminaries. But they proved their worth when they over-powered the highly-rated Gabon, Ivory Coast and Mali to earn qualification. Only six of the 23 players were born in Morocco. The rest were born in France, Spain, or the Netherlands, but have Moroccan heritage and have maintained a connection with Morocco. Key players include national team captain and Juventus centre back Mehdi Benatia and attacking midfielder Mbark Boussoufa, a two-time Belgian Golden Shoe winner and former player on the Chelsea youth team back in 2006. Morocco's talented team face Iran in their opening match. It's a must-win game given that they will next be up against highly-rated Spain and Portugal. Senegal were held to a 2-2 draw away to Madagascar but recovered to eliminate them 3-0 at home. In the group stage, Senegal overpowered Cape Verde, Burkina Faso and South Africa. Senegal has highly talented players who ply their trade in European leagues. These are led by Sadio Mane who has had a very successful season with Liverpool. Indeed, only the goalkeeper plays on the African continent. They face Poland in their opening match, followed by Japan and Colombia.